Thomas was born in 1921. He was a private in the Highland Light Infantry. His serial number was A115588. 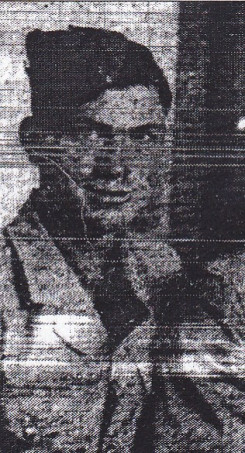 He served in France and was killed in action in Holland on October 22, 1944, at the age of 23. He is buried in Adegen Canadian War Cemetery, Maldegen, Ost-Ulaaderen, Belgium. The name of Thomas is on the Cenotaph at the Zorra Township Office, and also in the West Oxford Church Book.